Well, 2019 sure is interesting already. 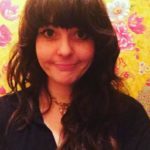 Let’s think about that just in terms of podcasts! While some of the heavy-hitter crime podcasts—like In the Dark and Missing and Murdered—are expected to return this year, specific details are scarce for now. (Others—like Atlanta Monster—have returned already, but I’ll…leave you with your personal opinions on that one.) 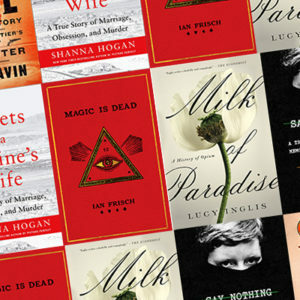 Luckily, there are plenty of excellent brand-new or upcoming crime podcasts to provide all the quality listening that we want and (really, really) need in the brave new world of 2019. 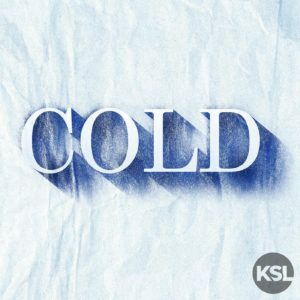 Cold, a joint production of Wondery and KSL Podcasts, unspools the case of Susan Powell: the young mother of two who disappeared from her Utah home in 2009, and whose body has never been found. Susan’s husband, Josh, was the top suspect in her disappearance—especially considering the violent course his life ultimately took—so KSL reporter Dave Cawley goes back to Josh’s disturbing past, his deluded self-image, and his tumultuous relationship with Susan. As Cawley retraces and continues the investigation into Susan’s fate, armed with thousands of documents only recently released to the public, he paints careful portraits of other people pulled into the case—many of whom helpfully left audio journals, or written journals, which are read out by actors who sound eerily like the Once you start listening to Cold, you might find it hard to switch back to any other podcast; now’s the perfect time to start. 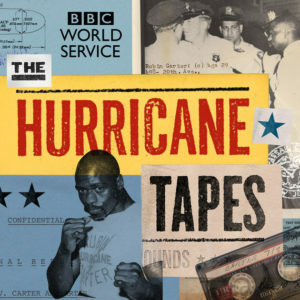 The Hurricane Tapes, a new podcast from BBC World Service, tells the unbelievable story of boxer Rubin “Hurricane” Carter, who spent 20 years in prison after he was falsely accused of murder at the height of his career. You may remember Rubin Carter from the 1999 Denzel Washington biopic The Hurricane, or maybe from Bob Dylan’s song “Hurricane”—or maybe you’ve never heard of him before. Wherever you’re coming from, this absorbing and fastidiously researched podcast—full of never-before-heard cassette recordings of Carter himself, and of the detective who was determined to put him behind bars—is well worth your time. Host Steve Crossman is a sports journalist who’s never conducted a murder investigation before, but that turns out to be an asset rather than a disadvantage. Crossman pairs journalistic rigor with excitement, curiosity, and determination to unmask the true killer, and his fresh perspective makes the podcast come alive. 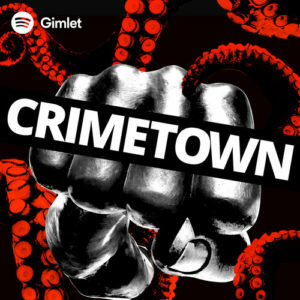 Season 2 of Gimlet Media’s Crimetown (exclusively available on Spotify) sets up shop in Detroit, Michigan. Starting with the story of a racially-charged police shooting in 1971, Crimetown goes on to discuss a controversial law enforcement program, the so-called war on drugs, and the meteoric rise and fall of Kwame Kilpatrick–Detroit’s youngest-ever mayor, who’s currently serving a 28-year sentence in federal prison. As with Season 1, Crimetown paints an intricate picture of a town with confidence and precision, using expert interviews and a variety of sources to create a polished, professional listening experience. The podcast tells not just one compelling story, but a complex tapestry of them—from the lives of politicians, attorneys, FBI agents, drug kingpins, and countless people who were simply in the wrong place at the wrong time. Murder Book, which drops on January 28th, is the first podcast produced by bestselling crime novelist Michael Connelly. In Season 1, The Tell Tale Bullet, Connelly returns to his roots as a crime beat reporter to investigate a real, 30-year-old cold case of a fatal carjacking in Hollywood, and of a murderer who walked free. Connelly promises that every season of Murder Book will end with a crime solved; to get there, he employs a wide array of sources, including court recordings, wiretaps, and interviews with witnesses and detectives. Complete with hardboiled narration and a jazzy soundtrack, Murder Book is the perfect podcast both for fans of true crime, and fans of classic noir. It also takes a serious look at the limitations and flaws of our criminal justice system, which leaves the listener with the unavoidable impression that in the past three decades, far too little has changed. Don’t be fooled by True Crime Bullsh**’s seemingly flip name. 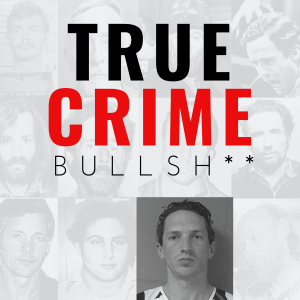 While you might assume at first glance that this is a true crime-comedy podcast, it’s anything but; the name is actually a quote from the podcast’s subject, serial killer Israel Keyes, who rolled his eyes at the cultural phenomenon of true crime. Which is just one of the many fascinating things about this story. For all his dismissiveness, Keyes was entranced by missing persons cases—including that of Susan Powell, the subject of Cold—as is the podcast’s narrator, Josh Hallmark, and as are probably most of the podcast’s listeners. You may have never heard of Israel Keyes, who made a deal with the FBI to keep his name out of the press during his lifetime —and who was also very good at not getting caught, spurning the idea of a victim profile, and disguising his murders with a variety of other crimes. True Crime Bullsh** sifts through hours of interviews with Keyes, criminal psychologist Katherine Ramsland, and others to create a thoughtful and impactful study of man who had a devastating impact on countless lives, and whose plea for privacy has at last been denied. 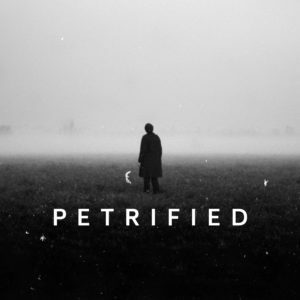 Debuting in December 2018, Petrified is chilling new horror anthology “from a darker Ireland”—consisting of terrifying standalone stories that are extremely well written, expertly produced, and brilliantly acted, to culminate in a podcast that—especially considering how new it is—is already so polished, it’s startling. You’ll hear stories of a woman who may have murdered six people and buried them in her basement, a radio station under siege, a deeply disturbing Christmas party, and more, in a kind of podcast throwback to The Twilight Zone. While each story operates independently from the others, they all have something fundamental in common—a distinctive tone, a creeping sense of menace, an eerie soundtrack—which makes you feel like you really have landed in a strange, dark country that’s not on any map. As a character in the fourth episode remarks about a bag of mysterious cassette tapes, “I don’t know who or how it started, but I do know all the pieces are more than just what’s in that bag.” The same could be said for all of Petrified so far, and I certainly hope there is much more to come. We know that Season 3 of Shattered is coming sometime in 2019, and that it will deal with the Oakland County Child Killer—but for now, that’s all the information the podcast is releasing. 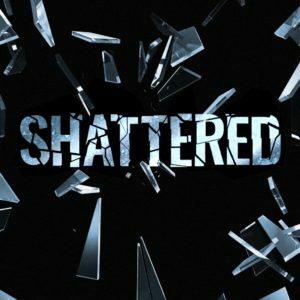 In the meantime, now’s the perfect time to get caught up on Shattered so far. Season 2 is particularly special, telling the mind-boggling true story of Rick Wershe, Jr., better known as White Boy Rick—a 14-year-old boy in 1980s Detroit who knew the ins and outs of drug trafficking in the city, and who became one of the youngest FBI informants in history. Rick would go on to set another record, within the state of Michigan: the person to serve the longest time ever for a juvenile non-violent offense. Investigative reporter Kevin Dietz trace’s Rick’s transformation from average kid to informant to cocaine dealer to prisoner; Dietz interviews not only Rick himself, but FBI agents who worked with him, friends who grew up with him, drug dealers who were put in jail by him, and somehow Matthew McConaughey, who played Rick’s father in the 2018 film adaptation of his story. With disciplined reporting, smart editing, and a great sense of pacing, Shattered skillfully spins a narrative that’s as gripping as it is tragic. 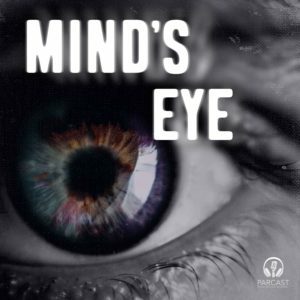 Mind’s Eye, a new scripted podcast from Parcast, tells the story of Detective Kate McClay, who’s haunted by terrible dreams. Her husband Miles, a public radio journalist, starts documenting Kate’s struggles as part of Public Radio Colorado’s “Dreams” series—and of course, everything turns out to be much more complicated than either of them expected. As Miles tries to get at the psychology behind dreams, Kate’s real life becomes just as horrifying as her nightmares, as she tries to catch a serial killer, and crack a cold case that may have tendrils rooted within her own family. Mind’s Eye boasts excellent writing, high production value, and fantastic acting, darting back and forth between disturbing, suspenseful, heartwarming, funny, and everything in between. Listeners of Serial Killers, Female Criminals, and several other Parcast podcasts will also get a kick out of Vanessa Richardson’s performance as a dream interpreter, which shows off her skills as a terrific comedic actor. For anyone who enjoys a good mystery, or a good dream, Mind’s Eye is a great way to start 2019.